the meter you see underneath your avatarwould be called your "experiance bar". that would determine how much you on and how good your roleplaying skills are. for example a person with 10,000 experiance would mean a newbie with 100,000 experiance would be more skilled it all comes down to roleplay since someone of 10,000 EXP would be fairly strong and be able to win the person with 100,000 EXP would be better because they can use certain moves that cannot be used by the 10,000 EXP person and can be blwon away with more powerful moves. to earn EXP simpley post a RP thread in the RP section of the forum and roleplay either by yourself or with a friend. after everyone in the thread is done someone must put ~end~ and then a administrator will award points based on the content of the roleplay. ussually a 1,000 EXP points or less would be given for those with below normal roleplay content and a 4,500 to 6000 EXP would be given to better roleplay and the better the roleplay samples the better the points. the easy way to earn EXP would be to to participate in forum events and be active in Roleplaying topics. by earning experiance points you can earn new levels. for example sayians can increase what power mode they can go up to with the experiance meter. (meaning bob with a EXP of 10,000 can go SSJ1 while bill with a EXP of the limit of 100,000 can go up to any level of sayian and so forth). androids can recive certain upgrades to their characater and become more character and humans can become more stronger through strengh and speed. I like it, but mods are admin's OP themselves because Admin's can. Like you have 100000/100000? I think its a good idea, neverless, not very real as a Super Sayain can become weaker then a Human. if a human trains more they can become stronger than a Suepr sayian this is not to make that sayian race over powered and over used and to give RP fairness to other races. How come I have 10000/10000 as well? I hardly did any RPing. Oh okay, so when I RP if I put -End- at the end, a admin will add the exp? which is short for post quality times Post number. Quality wil be judged from a number anywhere between 100-10000. post number would be determined by the number of times you posted in a thread. quality is the overall roleplay content of the user and will be judged by a admin or moderator. say all my posts are a 500 point quality (meaning faily decent Roleplay) but i post in a thread 20 times. that multipies 500 to 10,000 EXP. so this is for participation in posts, quality Roleplay and good grammer can get you more points. BUT from now on the'll be point deductions for example say you godmodded in one thread a point deduction for that wold be 10,00 points. also if you break any f the rules including the advertising rule a point deduction of up to 10,000 points will take place. I'd like to ask if I could help more with this, I think I'm a rather fair judge plus I read topics very thoroughly and have plenty of time to do so. if your in a topic you cannot give EXP to yourself. period. doesnt matter if you have multi accounts you cant give eXP to any character you created. this is why in the thread where me and jecht fight the 3rd android superfly or inferoo can give EXP but not me or vision because we were both in the thread. i know you guys would be fair if i gace you permision to give yourselves EXP but if i do then other members might point and accuse you of giving yourself more EXP then you deserve. (which i know wont happen ever) so just to prevent a total outburst of hatemail and complaints just dont give yourselves EXP if your in a post. just so i know where credit is due. I usually understand things like this much more quickly but.....what? Just throwing it out there not to say you have to do anything i bring up. But please answer the questions above the suggestion as i R CUNFUZZLEDD!!! the maxmium is 100,00 which means ayer that point your bascially indestructible but it wil take a LONG, LONG time before anyone can rech that point. also we have up to SSJ4 and ape is optional. and also the idea of humans and other races starting out with more EXP is a good one and i was actually already thinking about it and was about to ask my most trusted Admin about it. alright, if you are ever in the need to know, i have admined on two DBZ sites where we have edited and changed up the system a half a million making it perfect. and we got pretty close if you ever want to hear the system. I want every race to balance out, and so far it seems like Sayain's get the better end of the deal with your description of the system. Though I can't fully give an opinion because I haven't heard very much about it. okay after thinking about it i have updated it sayians still start with 10,000 but humans start with 12,000 and all other races besides sayian and humans will start with 19,000. (yes i know they start off stronger but the sayian race is being over populated ATM). I say you keep it the way it was before, it's more fair that way. Or at least it seems that way to me. but he does have a point if we make it so other races have more EXP then peolple will start picking them. and plus even IF we do that people are going to choose to be sayians anyway (i know i would) so yeah....... anyone else second thoughts? I stick with my original thoughts, the old system is fine to me. i second the old system.all people should be the same strength when they start and have the same ability to gain points.Giving out more points for certain races will only cause big fights and over population in other catagories. Yes giving other races a bit of a bonus would seem like it would make everyone choose that race, but the reality is that we need to give everyone more of a choice then just saiyan. I was told the other day that all races from the saga are accepted, however only Saiyan and Human are advertised. If we had a page where each different Race had a Experience chart then it would not only start off the new members with more to look at, but maybe even intice some old members to choose a new race after death. Such as unlocking potential, Holy Water, and other things like that. this way it makes it more realistic then all new members start the same. i mean really a newly elected saiyan and a new human would be very different in ability, and it would make roleplaying far more realistic. Namekians would start with 7000 and would have an immediate transformation starting at 10,000. this way it may not seem good to start low, but having a transformation so early makes it more appealing. and the namekian race would get larger. Then we add other races like Icers who start with a pitiful 1000 exp, but have a transformation every 5000 exp making them one of the stronger races once transformed. Overall it gives a more in depth quality to the Roleplaying Experience. Of course to change this now would only effect new members not members who currently own a character. and in addition i will gladly create each and every race guide if that is within the wishes of the other admins. i have made them before and it will not be difficult to adjust to a new experience system. But i should say, not showing other Races in your create a character area could be detrimental to the sites growth. 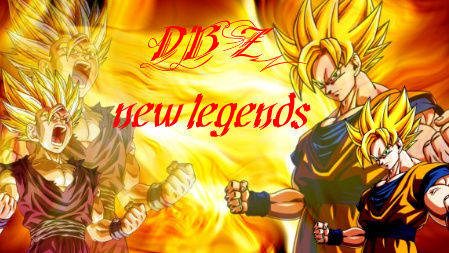 all honesty i would have chose something other then saiyan had i known the oportunity before it was to late. did i clear up my intentions? Aint budging on how I feel on the system. Though I do agree that we should make it more clear on what races you can be.